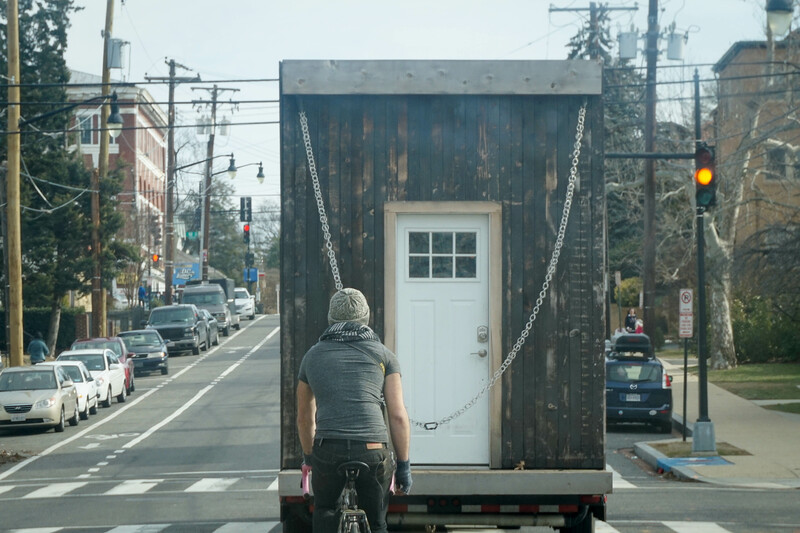 This is not an authoritative post on how to insure a (non-RV-certified) tiny house, because I am not an authoritative expert on how to insure a tiny house. This is just the story of one very long call to one very big insurance company to try to do so. As a preface: the Matchbox got solar power this spring! Or at least, it got solar batteries and solar panels and a solar inverter currently stashed by the fireplace and not yet installed (more on that soon). Those were some pricey bits, and coupled with my bicycle, camera gear, odds and ends, and the house it’s all squeezed into, I thought it might be time to get some insurance on all my worldly possessions. 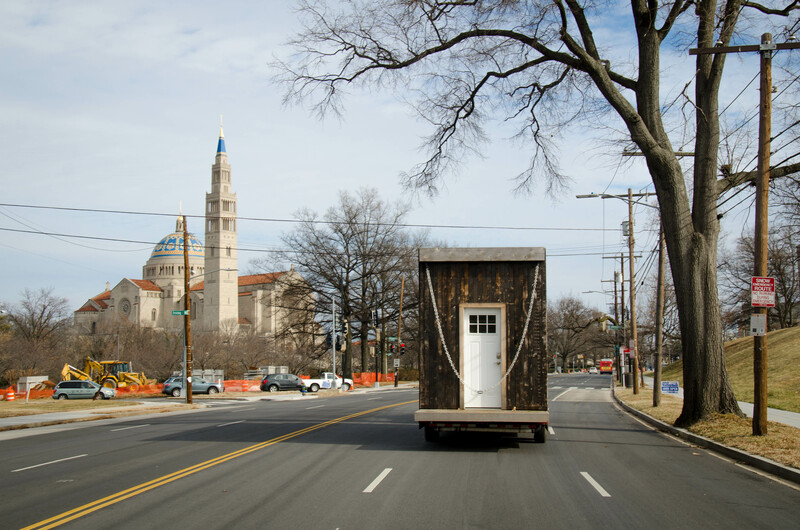 It seems our good friends on the West Coast have figured that all out, but here in DC my options for tiny-house-specific insurance were limited. So, I called GEICO. They’ve been insuring my scooter for years, and it seemed like a good place to start. The automated menu played, and for some reason I thought renter’s insurance was the most appropriate path to follow. Which is weird, ’cause I’m not a renter, nor do I have a place that even qualifies as a legal home. Still, I pressed 4. She punched a few keys and asked a few more questions and then found a solution: GEICO had a motor home insurance division. She transferred me over, and wished me luck. I found no luck. After explaining my situation to the man who works with motor homes, it became clear GEICO’s definition of motor home was something self-propelled. I was bumped to the other side of the office, manufactured housing, and—as expected—told I didn’t belong there either: anything under 320 square feet wasn’t considered manufactured housing. Like a hot potato no one wanted to be stuck with, I was sent to auto insurance. The house was on a trailer, I was told, so the trailer and it’s live load could be insured, right? Wrong. The folks at auto insurance couldn’t insure anything that couldn’t move itself, unless it was longer than 30′ and used for long-haul trucking. The Matchbox was not built for long-haul trucking. Exasperated, I asked the friendly woman on the other end of the line what I should do. How do I just, like, insure a thing based on its dollar value? Personal property insurance, I was told. Another transfer, another hold, another five minutes spent explaining what exactly the personal property was, and another five minutes being told that, for something that could be physically entered, personal property insurance wouldn’t cover me. Try renter’s insurance, they said. There was a solution (finally!). All I had to do was sign up as a renter for the yard the Matchbox was in, using the address of the physical foundation-built house on the property. 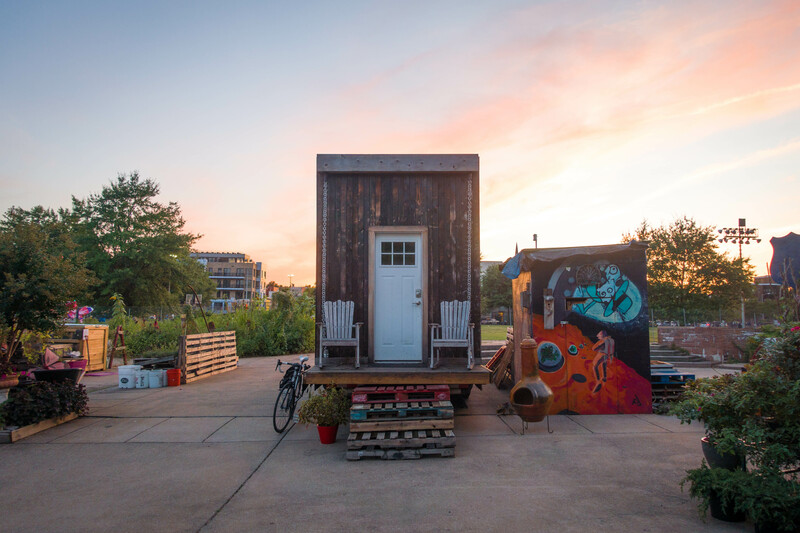 It was a good short-term fix, but the Matchbox won’t be there long, and it’s next spot may very well not have a permanent home and friendly homeowner from which to rent (or borrow!) space. We were at an impasse. I asked the representative what sort of proof of rent was needed. She said nothing. I asked her what sort of proof of address was needed. She said nothing. She said GEICO didn’t really worry about those things, and if I wanted to put down a partner’s or a friend’s or a coworker’s or an acquaintance’s house, that’d be just fine—and 100% of the $500-deductible, $25,000 coverage could extend offsite (at least in DC). And that, an hour and a half after embarking on this little insurance journey, is what I did. Except, it’s a half-measure. The rental insurance will cover the solar equipment and the bicycle and the electronics and the stovetops and everything else in the house (or that I take outside of the house to anywhere in the world), along with liability if anyone injures themselves inside it, but not the house itself. I was told what’s part of the house is determined by the “fall rule”—if the house were to tip over, whatever wouldn’t fall down was part of the house. In a space built to travel on the road and not have things fall down, that’s not necessarily good. But at $250 per year, getting some stuff inside insured is, well, maybe kinda-sorta worth it. Is the journey over? No. That’s where you come in. 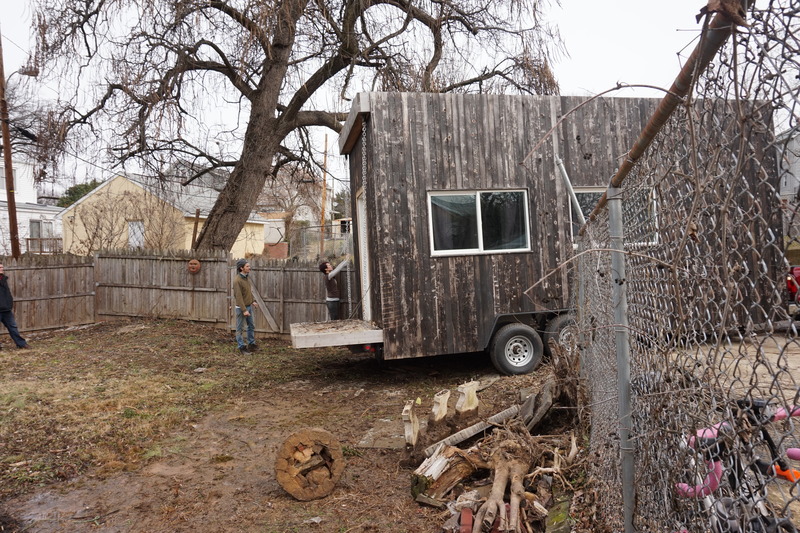 Do you have tiny house insurance experience? 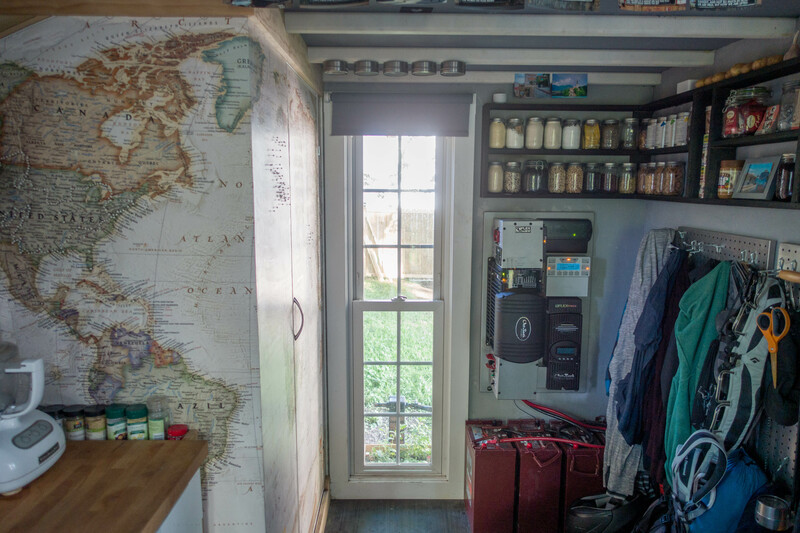 Have you cracked the code of East Coast tiny house fiscal security? We have a comments section—let us know about your own adventures, and we’ll be sure to add any tips and tricks others have shared to this post. But for now, I can sleep semi-soundly knowing that my small home is a small bit insured. UPDATE: It sounds like the folks from insuremytinyhome.com are making progress on providing tiny house insurance nationwide. Head over to get involved.